If you’re a social media addict, then, these phones are perfect for you. Many of the phones are capable of accessing the web and with plans providing unlimited web use, you’ll never miss a thing. Boost-branded wireless phones are available nationwide at nearly 20,000 major retail and independent wireless dealer locations. They also have various phone plans, so there is always a plan to fit your budget. You can use their Monthly Unlimited Plan which is only $50.00 per month and includes unlimited talk, unlimited text, unlimited web and now includes unlimited 411, IM & email. They also have their Minute – Pay As You Go Plan that is only $0.10 per minute which includes $0.10 per minute talk and $0.10 per text (send and receive). 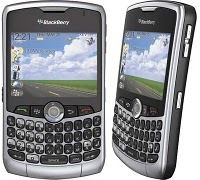 Also you can choose the plan designed for the connected Blackberry users and get the Blackberry Monthly Unlimited which is at a low price of $60.00 per month and includes unlimited talk, unlimited text, unlimited web, unlimited email and unlimited 411 & IM. You can choose the phone and the plan that fits your budget or style and stay connected with all your friends and family. Also their activation process is so simple and fast that it makes one to go and buy it now. And there are always something extra going on..!! Now, there is no reason not to stay in touch with family and friends. Start calling, texting, and tweeting about your new cell phone and how cool it is and how much money you’re saving with Boost Mobile. Re-Boost with the Boost Mobiles...! !